Monolith Soft, developers of the Xenogears and Xenosaga games, continued their "Xeno" series of RPGs after being purchased by Nintendo. While the games do not share a storyline, they are connected by themes and philosophies. 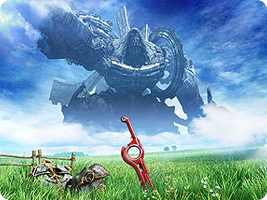 The Xenoblade Chronicles series, in particular, has a strong emphasis on exploration and working in tandem with nature.